The invasion of Saipan. 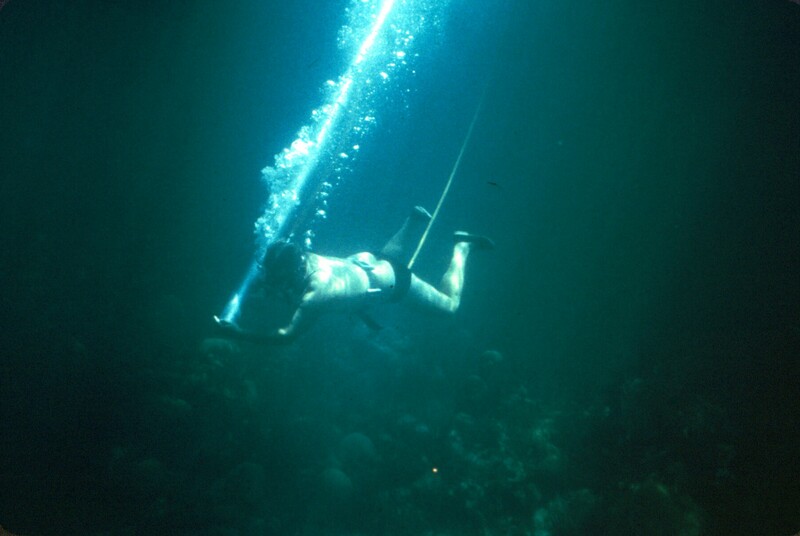 Treasure-diving in the Bahamas. Barnstorming in Pennsylvania. Some might call them adventures. Goshen’s Ed Reimard, who experienced all three, calls them old hat. But it’s more a reluctance to brag or bore than a failure to appreciate what life steered his way that keeps Reimard looking forward. “It was beautiful, and don’t think I don’t reminisce a lot. Lord God, I’ve lived in the most interesting era, from the horse to the rocket–and was involved in a lot of it, from flying to diving,” he said. But Reimard almost never got out of his hometown of Bloomsburg, Pennsylvania. Struck by a car while a youth, he suffered enough broken bones and other injuries (“I had the top of my head ripped off”) that he was not expected to live. “I hadn’t died after three days so my uncle, who was head surgeon at Mercy Hospital in Wilkes-Barre, came down to see what he could do. I had to spend six months in a body cast, and then when we took the cast off we found out the back was fractured,” he recalled. Reimard stands straight and lean now at 63, and lives in a small neatly-kept home on Goshen’s north side with his wife Peg. The Reimards moved to the area in 1974 to be near daughters Nancy Wiese and Barbara Garvin. Another daughter, Sally, lives in Wisconsin, while son Bob has made a career of the Air Force. Though the spine is still kinked from the untreated triple fracture, Reimard has never let his injuries keep him from anything he really wanted to do. “It’s been a problem over the years, but when you have something like that that nothing can be done about, you grin and bear it,” he said. But the injury made it hard for Reimard, who felt that “a country worth living in is worth fighting for,” to sign on with the armed forces during World War II. Recruiters took one look at his application and said no thanks. His Navy training at Bainbridge, Maryland lasted just three weeks, after which he found himself headed west, to Pearl Harbor, and the Pacific theater. His assignment: welder on an “auxiliary to Invasion” named the Niobrara, a fleet oiler loaded with 160-octane airplane fuel, black oil, and diesel oil. At Pearl Harbor, he signed up for Underwater Demolition Team (UDT) training, thinking “I could go to school for anything if I could get off this aux to invasion.” But nothing came of it until the Niobrara reached Kwajalein, when Reimard and a shipmate found themselves temporarily transferred to a UDT ship for training. “They had a 100-foot tube there that we went down and came up with a Momsen lung. It was a very short course, and as far as scuba gear is concerned I never saw it until I got back to the States. Not even flippers. It was just a case that if you were a good swimmer, you qualified,” Reimard said. Then it was back to the Niobrara and welding, until June 1944, and the invasion of Saipan in the Mariana Islands. Saipan was protected by coral reefs and by mines and barriers placed on them by the Japanese. The full-time UDT teams were charged with mapping safe paths through the reefs for the first wave of invasion boats. The part-timers, Reimard among them, were tabbed to plant explosives to clear a channel through the reef so larger boats could bring supplies and reinforcements. “We figured we’d never be used, but they called two of us off the Niobrara. They used us that day and that day only. It wasn’t a great coordinated affair, as far as I was concerned–very little preparation,” Reimard says. A decade later, Reimard found himself descending beneath another ocean for another reason: the lure of sunken treasure. Before the year was out, Reimard had diving gear and underwater cameras of his own. 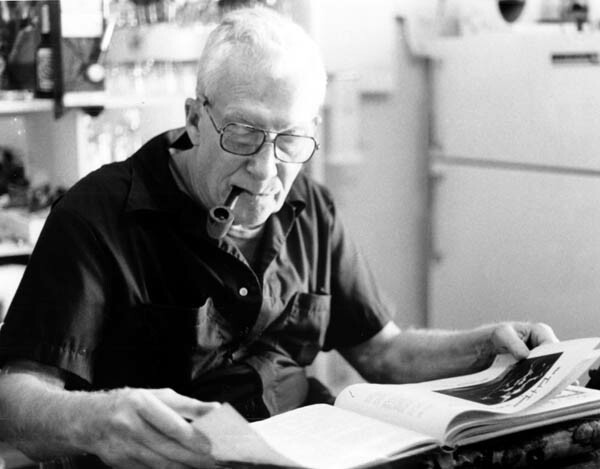 Through the late sixties, he was to split his time between his camera shop in Pennsylvania and the Smithsonian’s largely volunteer “Glub Club,” led by self-taught underwater archaeologist Peterson. “It wasn’t a full-time job, I’d work with them maybe a week, ten days at a time. They would fly me to wherever the project was–no pay, the Smithsonian doesn’t have money for things like that–but they’d wine you and dine you well, and pay my expenses there,” Reimard explained. Reimard learned quickly that the popular conception of treasure hunting was more fantasy than fact. The treasure hunters and undersea explorers Reimard knew and worked with constitute a “Who’s Who” of the field through the 1950’s and 1960’s. 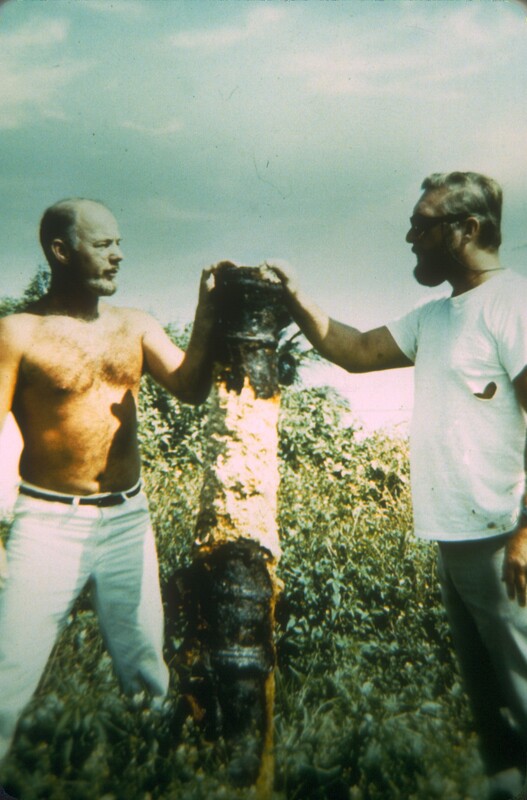 Among them are Art McKee, who began in the “hard-hat” days of diving and collected enough artifacts to open his own museum; Tom Gurr, who found treasure at sea and trouble in the courts; and Ed Link, a pioneer in the development of small submersibles. Reimard’s relationship with Teddy Tucker lasted even longer, spanning a dozen years and many wrecks. Tucker has earned the nickname “Mr. Treasure” for his discoveries in the waters around his home island of Bermuda. 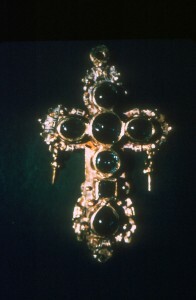 The most spectacular of those finds came in 1955, when he plucked a 350-year old gold and emerald cross from a Bermuda reef. Every wreck Reimard worked has its own history and its own stories. He tosses out one name after another: the HMS Warrick, the Blanche King, the San Pedro, the Pelonation. “The first one I worked was the old Constellation, the last four-masted schooner to leave the States for South America with general cargo–1942. It went on the reefs in Bermuda and sunk. And then we worked an old 16th-century paddlewheel which was unidentified, and that was where I got my set of crucibles for melting precious metals. It took me three years to get the whole set,” said Reimard. Other wrecks yielded other memorabilia: from one, a padlock encrusted with coral and shells. From another, an assortment of sailmaker’s palms, metal disks sewed into gloves and used as thimbles. “Over the years, I’ve given them away to where 1 don’t even have one,” he admitted with regret. Mounted in the masonry of the Reimards’ fireplace is another memento: a grindstone recovered from the 1717 wreck of the English merchantman Caesar. Reimard calls the grindstone “one of the smallest of the small,” and many of the larger ones remain on the bottom near Bermuda. That was not the only time Reimard encountered the slow, steady destructive power of the sea. 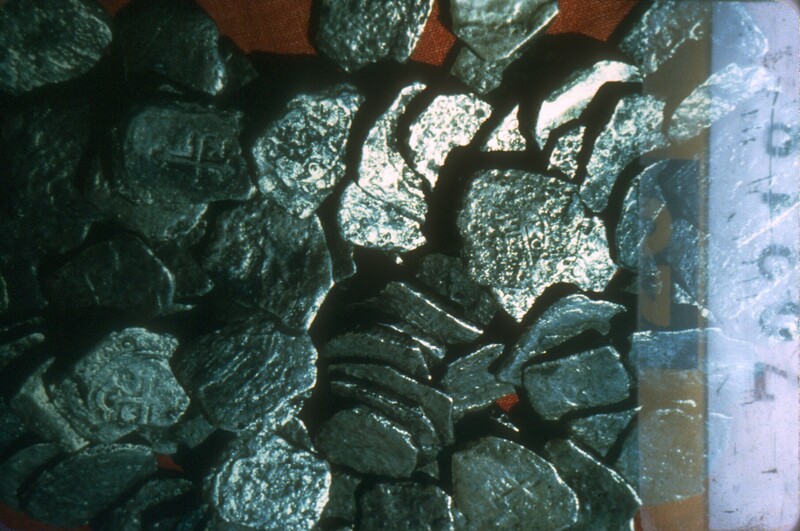 Silver coins were frequently found welded together in stacks or lumps, converted by the sea’s chemistry into silver pseudomorph. Gold fares better, the calcium which makes up human bones more poorly–fish eat it. Of all the wrecks Reimard came to know, the San Jose stands out as the most memorable, for a combination of personal, historical, and legal reasons. The San Jose de las Animas was part of the 22-ship Nueva Espana Flota which set sail from Havana for Spain in the summer of 1733. Included in its cargo were more than 30,000 pesos in silver, a small part of the plunder from Mexican mines being transported by the 1733 plate fleet. But just one day out of port, the Nueva Espana Flota ran afoul of hurricane-strength winds. By nightfall of the second day, the entire fleet was wrecked, scattered along the Florida coast from Key Biscayne to Vaca Key. Spanish salvors refloated a number of ships and burned fifteen others to the waterline, the San Jose among them, when salvage operations were complete. 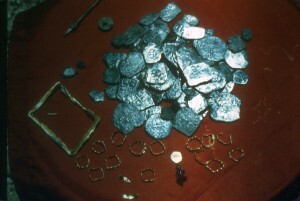 Most of the treasure and much of the other cargo was recovered. 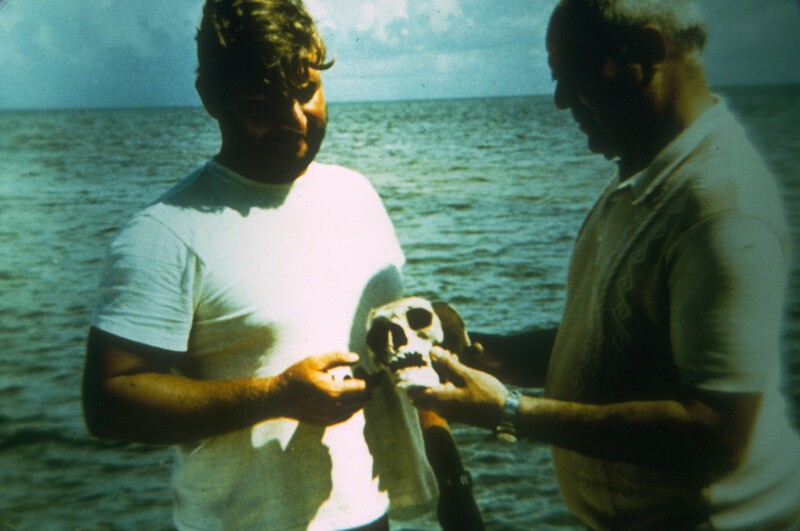 The remains of the San Jose lay undisturbed until the summer of 1968, when treasure-hunter Tom Gurr and his team discovered them off of Rodriguez Key. Gurr called Mendel Peterson, and from the first day of digging, the treasure hunters and the authenticators worked side by side. “It was thirty feet to the sand, and then we excavated down to about 48 feet. It was completely buried, there was nothing visible,” Reimard remembered. 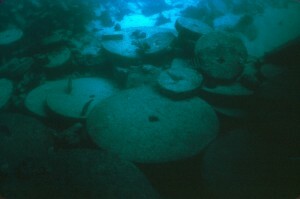 Working in two hour shifts with “no safety vest, no wet suit, no nothing, just a weight belt to keep you down there, and a Desco mask to give you air,” the divers uncovered silver coins, unbroken olive bottles, oddities such as a glass cat from the Orient and a wood cartridge belt, and of course, cannon. “This is the crazy thing about cannons, you’d think they’d be valuable, but most of them were never brought up. There were 68 supposed to be aboard the San Jose, and we found 38 of them, but only a few were ever brought up,” said Reimard. But one modern pirate thought enough of the cannon to steal two of them off the bottom. The case ended up in court, and film shot by Reimard was a turning point. The most unusual find came as the excavation neared the 48 foot level: an intact 250-year old skeleton, the only one ever found on an 18th-century wreck. “We found what we called ‘our boy Pedro’ down in the bowels of the ship. We found one and a half skeletons, and according to history there was two people lost on her. He was down right next to the keelson, and with him was a cache of 18 little gold rings,” said Reimard. 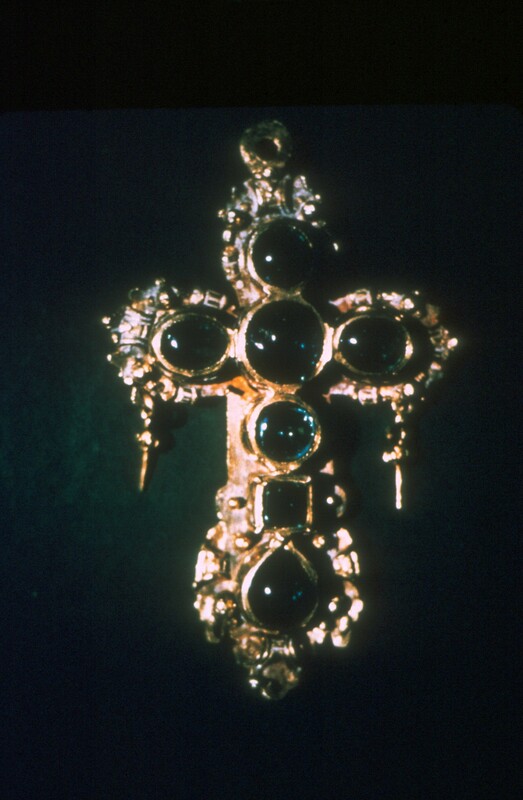 Pedro’s rings and the other treasure attracted the attention of the State of Florida, which claimed ownership of the wreck and everything on it, even though it lay outside the three-mile limit in effect at that time. On one occasion, state agents attempting to board the salvage ship Parker were fired on by Gurr’s crew. Later, Customs agents armed with Thompson submachine guns and backed up by a Coast Guard cutter searched the Parker, and Gurr was ordered by a Florida court to turn over all the items recovered from the San Jose. To end the court battles, Gurr was forced to agree to a contract with the state which would give his team a 25% share of the find instead of the customary 50%. But even then, the state delayed paying Gurr his share for five years, driving him to the brink of bankruptcy. At one point, the Parker sank at dockside in Marathon because Gurr couldn’t afford to keep someone aboard to mind the bilge pumps. 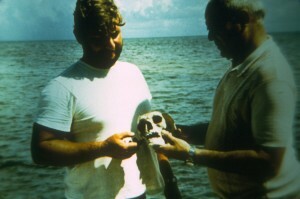 Finally, with a CBS camera crew recording the action, Gurr returned to the wreck site in a 17-foot boat and, rather than give them to the state, dumped what artifacts he still had back into the ocean. Eventually Gurr was charged with grand larceny. “Tom was extremely honest on the whole operation, but the state basically crucified him,” Reimard said. Though the U. S. Supreme Court eventually overruled Florida’s claim to the wreck, by that time Gurr had run afoul of the Securities and Exchange Commission for selling too many shares of the find to investors. “It kind of ended up a little illegal. A lot of people lost a lot of money, because the state confiscated everything,” Reimard said. Almost everything, that is. Among the exceptions was one of Pedro’s gold rings, which Reimard describes as “sixty-eight cents worth of gold that the State of Florida valued at $800 apiece.” Reimard knows all about the elusive ring, because he knew where it was. But despite all he’s seen and done, and despite the obvious pleasure Its given him, Reimard remains modest to a fault. Reluctant to talk at all, when persuaded he talks more freely about Peterson and Tucker, the Niobrara and the San Jose, than about his own part in the events of his life. Reimard speaks with pride of his son: “He’s a fine lad, smart, he’s got a pile of beautiful citations from every base he’s ever been on.” He speaks with love of Peg: “She’s been an excellent, excellent wife.” But on the subject of Ed Reimard, he has little to say. Even before Ed Reimard became hooked on the secrets of the sea, there were signs that he was not going to be content spending his life glued to Mother Earth. When Reimard was a teenager, he and a friend bought a used Aeronca “Air Knocker” for $250. Though the only lessons he took were informal ones from the former owner, he chalked up more than 50 hours flying time. After World War II, it took him less than a week to earn a license. “I started on a Monday noon, flying an hour a day, and soloed Friday. I think I had five hours when I soloed,” said Reimard. For the most part, he found himself flying surplus military training planes such as the Fairchild PT-17 and PT-19 and the Piper L-4. Eventually he tied in with the Civil Air Patrol, flying an L-4 on search and rescue missions and serving as assistant communications officer for Pennsylvania. But most of his memories come from the dying days of barnstorming. A painting of a PT-19 hangs in Ed Reimard’s kitchen. For the fun-proof modern private planes and the “electronic ride” of jets, Reimard has nothing but scorn. But he retains an affection for the aircraft of the 30’s and 40’s, and pictures of several of them hang in his kitchen. 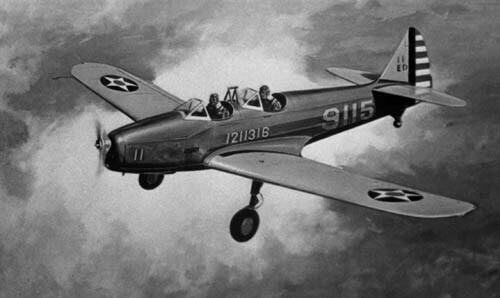 On one occasion, while climbing straight up in a PT-19, he had a moment of indecision about what to do next. Fearful that the whip stall might tear the engine loose, and mindful of the parachute he was wearing, Reimard stood up in the cockpit and prepared to jump.”Then I looked down and said, `Whoop, I don’t think so.’ And then I had the devil of a time getting back in. I had to kick a foot through the fabric and pull myself down, and by that time she’d started to roll over, nose down instead of the tail. I made a pass over the parked cars and the people were all flicking their lights and blowing their horns, it was a wonderful show for them, but I wanted to get on the ground after that,” said Reimard. A stalled engine also figured in an episode when Reimard was going to visit his parents on their farm near Benton, Pennsylvania. With the engine stilled and the airport out of reach, Reimard headed for the Sunday-morning stillness of the main street of Benton. “There wasn’t too many people on the street, and I could clip the wings on the trees and telephone poles on the edge and save the fuselage and me. As I was settling down about 200 feet off of the street, I noticed the throttle was on full and the mixture was on lean,” he said. With the controls reset, he tried to restart the engine.”It caught, and I went across the town of Benton at about 150 feet off the ground, Sunday morning. I immediately went back to Bloomsberg, but when I got there there was two state police cars parked at the apron, and needless to say I got quite a talking to. But the flight instructor explained to them that I was extremely lucky to recover from it, because that had killed an awful lot of people. It was almost a disaster, and I was shook so bad I sat there on the taxiway for about 15 minutes before I could get out,” said Reimard. But in the end, it was the greying of the aircraft rather than his own misadventures that ended Reimard’s flying days. Airframes designed in the 1930’s and built in the 1940’s were being weakened by the stress of flight and by such gremlins as hidden leaks from gas tanks. Update: Edward F. Reimard passed away on 18 May 1996, in Goshen, Indiana, at the age of 75.